The definitive edition of DmC: Devil May Cry is out, and it’s good! Damn good in fact, and a tremendous upgrade of the original game. It is of course, only one half of the Devil May Cry content that is coming out this year as the best Devil May Cry game is also getting remastered. Still, even though I have way too much mad love for Devil May Cry 4, I have to admit that the game is going to need a little something extra to get me truly invested in it. And maybe that extra hook, could be some brotherly love. Riding boots, blue clothing with gold embroidering and a smouldering need for MORE POWER? Sounds like Vergil to me! Dante’s brother has been playable in other DMC games before. The special edition for Devil May Cry 3 gave players their first taste of Vergil and his Yamato blade as he embarked on his own quest, and he was also an optional character in DmC: Devil May Cry, with more gameplay modes added in for him in the newly-released Definitive Edition. BUT I NEED MORE RESOLUTION to his part in Devil May Cry 4. It was strongly hinted at in that game that new series protagonist Nero may have been Vergil’s son. After all, he bore an uncanny resemblance to Vergil, could wield Yamato and could also activate a Devil Trigger mode to up his power levels to over 9000. 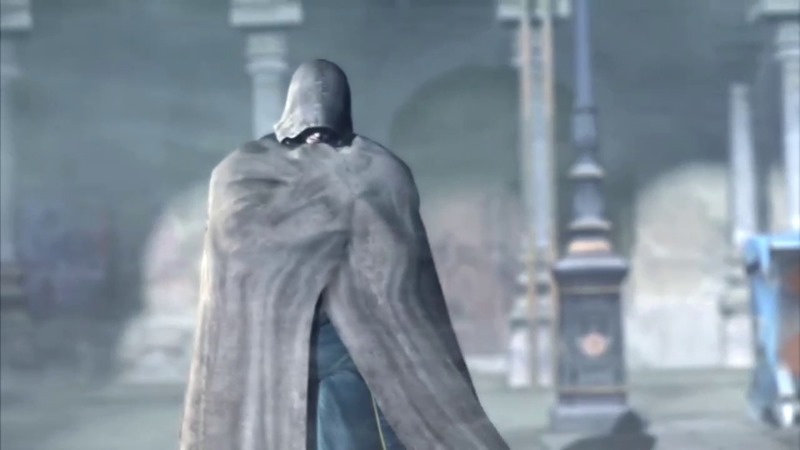 If the special edition of Devil May Cry 4 has a prequel mode starring Vergil and how he came to escape his fate as Nelo Angelo from the first Devil May Cry game, then I’m going to be happy to see his story arc finally completed.